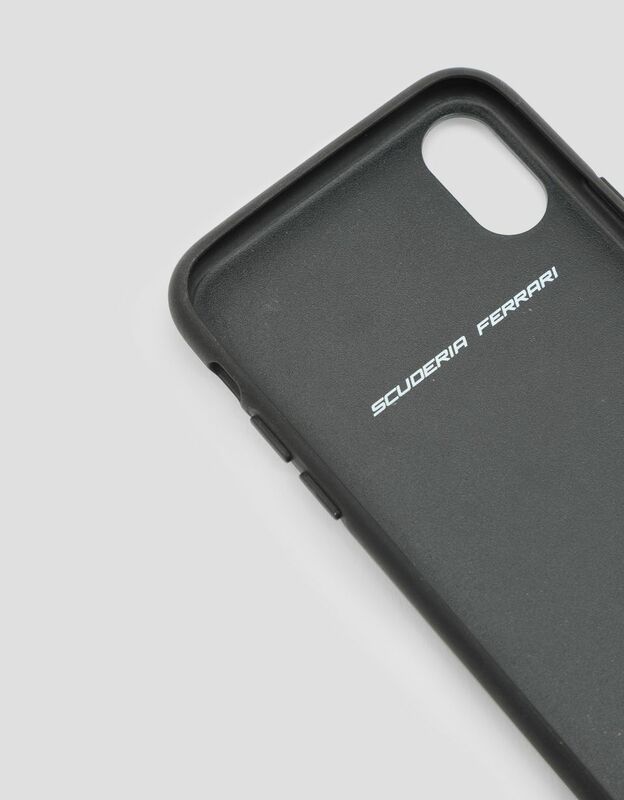 The design of the new Scuderia Ferrari rigid case for the iPhone X and XS is bursting with energy in a combination of highly resistant rubber that is soft to the touch. 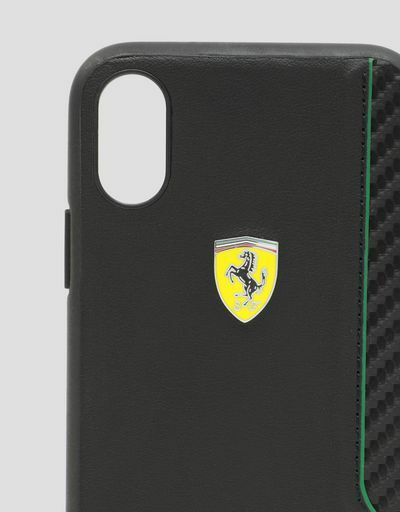 The racing soul of the black rubber case for the iPhone X and XS is drawn out by the carbon fiber effect lateral inlay work and contrasting details. 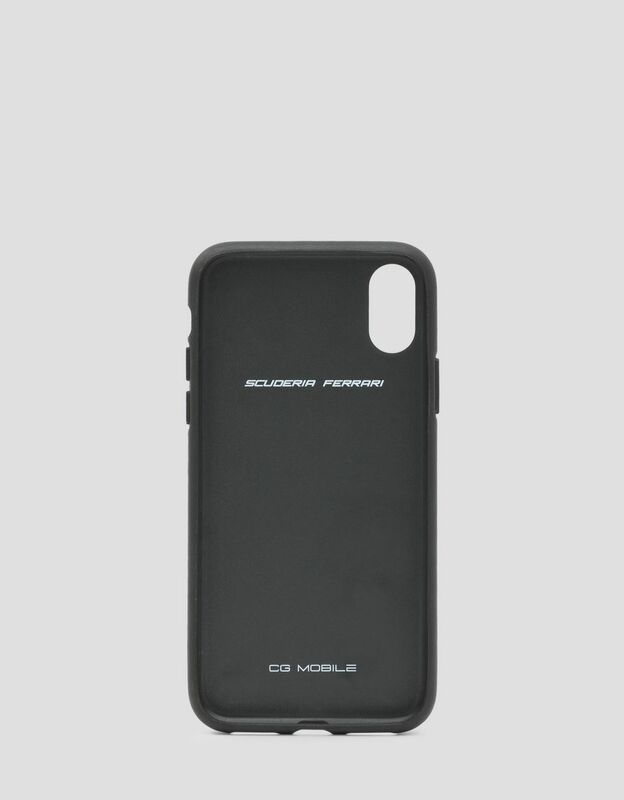 Made of soft PU rubber that is lightweight and resistant, the accessory comes complete with openings for the camera, buttons, and cables. The rigid case in soft-touch rubber is embellished with the iconic Ferrari Shield in metal on a yellow background and a tricolor band.